Ho Chi Minh City, August 2016 – Bay Hotel Ho Chi Minh, the newest and largest executive boutique hotel hailing from Bay Hotels & Resorts, Singapore, is delighted to impress well-travelled taste buds with its culinary team’s interpretation of ‘Best of Singapore’ Corporate Lunch in the heart of the city. 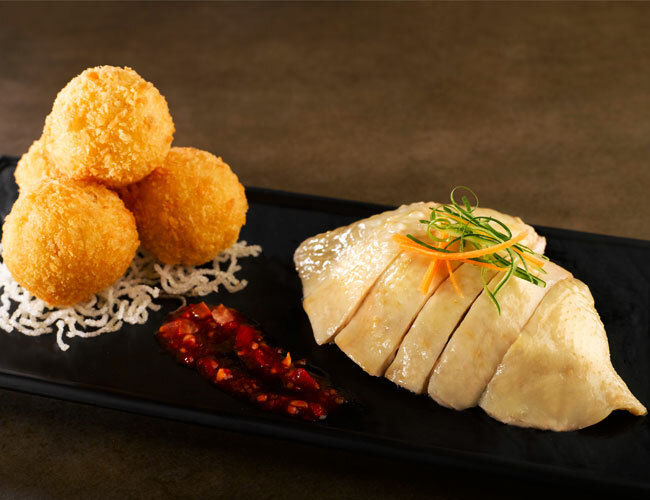 CHIC, its flagship restaurant which focuses on Singapore-centric Asian flavours, breathes new life into executive dining with the debut of Singapore-style Corporate Lunch, peppered with a harmonious ensemble of Singapore street food favourites and Asia-International cuisine. The marriage of quality ingredients and meticulous preparation sees our skilful culinary team lend a unique touch to the dishes common in the Singapore food scene, such as Spaghetti Bolognese, Seafood Pizza, Nasi Lemak, Laksa, Char Siew Fried Rice to Fried Instant Noodle with Beef, to name a few. These main courses will be changed on a weekly basis to make it an even bigger draw to the executive crowd, who will definitely be delighted with the unlimited servings of salad, soup, dessert and tea alongside the signature entrée, in the hearty 4-course executive lunch meal. Along with its stylishly chic interiors, as the restaurant name aptly implies, our brand new Corporate Lunch is set to wow your business friends and partners and make this mealtime one to remember. Priced at only 99.000 nett per person (*), inclusive of 1 main course of your choice and generous, refillable servings of salad, soup, dessert, water and tea, this is one Corporate Lunch that will not only satiate your voracious appetite for business deals, but luscious feasts too! (*) Price is included 10% VAT & 5% service charge.